Welcome to Shark Week 2013! I’ll bet your shark enthusiasts have already been watching the Discovery channel nonstop this week. After all, viewership records for Shark Week already broke Sunday night with the premiere of Megalodon: The Monster Shark Lives. So what is a dentist’s interest in Shark Week? Well, dentists are always intrigued by animals with regenerative abilities like salamanders, alligators, and sharks. While some animals have the ability to grow back entire limbs, dentists are more fascinated with the ability to grow back their teeth time and time again where humans lack this ability. 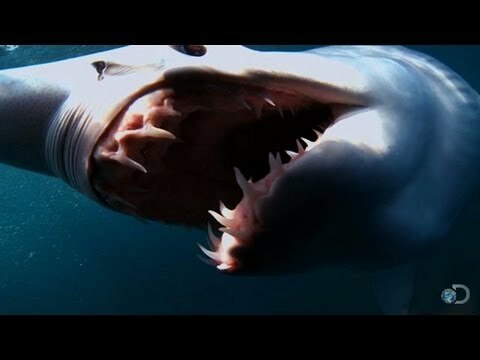 To celebrate shark week and reveal more information about the fascinating autonomy and biology of sharks, we pulled together via List25.com and BeachChairScientist.com 12 fascinating facts about sharks and their sharp teeth. The average shark has 40-45 teeth and can have up to seven rows of replacement teeth. Sharks lose a lot of teeth and grow them back quickly, thanks to their regenerative properties. They’ll go through more than 30,000 teeth in a lifetime. How do sharks lose so many teeth, you might wonder? Well, they tend to get stuck in their prey, or break off. But the shark isn’t missing the tooth for long — it will typically grow back within a day. On the same note, shark teeth grow quicker than ours because human teeth are attached to gums and grow on a root, where shark teeth do not. Sharks do not experience cavities. How lucky are they? Venice, Florida is the ‘shark tooth capital of the world,’ or so they claim. Like human teeth, shark teeth contain a soft material within called dentin. 3,000 of a whale shark’s teeth are barely used; they are filter feeders that find food by sifting through the gills. Human teeth are just as hard as shark teeth. As soon as they’re born, sharks swim away from their mothers to fend for themselves. Not to worry — they’re born with complete sets of teeth so they can start finding food for themselves. Shark teeth have a coating that make them acid resistant — a condition human teeth would benefit from. A shark’s tooth shape is dependent upon its diet. The tiger shark has piercing teeth in order to cut flesh, where the shortfin mako has razor-like teeth to tear flesh. Enjoy watching Shark Week everyone! We love sharks and shark teeth! Very cool facts here, Dr. Mike! Thanks! And thank you for reading our blog! Glad you enjoyed the shark facts. That’s awesome! We hope you were able to find some of our information useful for your report!